Researchers at Nottingham University have come up with an ingenious new and sustainable source of fuel across Africa....Bananas. 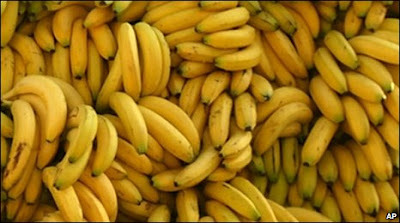 Bananas are an important and versatile crop across many countries in Africa, being used for food, wine and beer. However, according to the scientists for every tonne of bananas, there are an estimated 10 tonnes of waste, generally made up of skins, leaves and stems. The idea for the fuel is simple and low tech. Rotting banana skins are mashed into pulp and mixed with sawdust, compressed and dried to make briquettes. These ignite quickly and throw out a steady heat which makes them an ideal alternative to firewood for cooking. 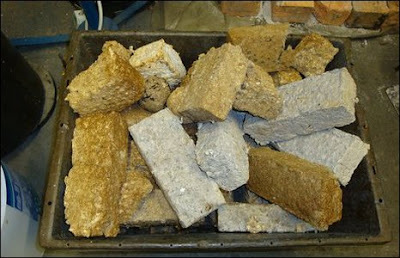 The briquettes can be made by hand, meaning no large financial outlay is needed for countries to be able to produce them. This idea could not only alleviate burden of collecting firewood in areas where this is scarce, but will also reduce deforestation caused by the need for fuel. Countries such as Tanzania, one of Africa's largest producers of bananas, could find this new source of fuel ideal, as at present around 80% of its energy needs are met from burning wood, with serious environmental consequences. Find out more about our projects in Tanzania!